A series of strange murders is taking place. When a young lawyer on his way to work is found dead in a parking lot with bizarre tattoos on his face, Detective Sergeant Caroline Osych is called in to solve the case. She is going through a rough patch - the roughest in her life. Fighting to regain visitation rights to her children from a manipulative ex, she’s broke, and her love life is nonexistent. Now, faced with the strangest case she’s ever had to work, her professional and private lives are about to collide. The FBI are convinced that they know who the perpetrators are - and who they are going to target next. But is there a more sinister - and extraordinary - explanation to the case? 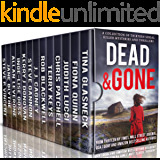 With more dead bodies appearing, a burgeoning relationship which might end before it can ever begin, an ex-husband who could be in danger and time running out - will Caroline be able to solve the case in time and stop more deaths? 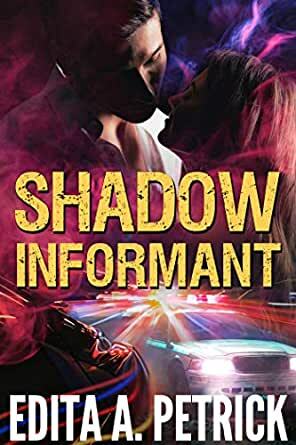 A threat on a politician’s life, a series of bizarre murders, the slimmest of threads connecting them together and a heart-pounding climax that will keep you pinned to the edge of your seat, Shadow Informant is a must have for readers everywhere. 4.0 out of 5 starsGood story and lead characters. The author is very skilled, technically. This book will not in any way try your patience in terms of grammar, formatting, punctuation, typos, etc. There's a good, complete story, here, with background and nuance giving those flavors that add to story. The murder mystery is a good one, literally on page 1. It's very clever and intriguing. 1. What's called "As you know, Bob..." syndrome, which is dialogue between people designed to explain things to the reader that the speaker and listener (in the book) already know. Example not from book: Married couple talking. One says, "Well, you know, Bob, Joey enrolled in college in September and his tuition is $14,000. My second job will cover that." More likely, one person would come home from the second job and maybe just say, "I'm tired." The other might say, "Tuition ain't free." Etc. Shadow Informant is LOADED with dialogue between the two cops that they would not need to say to each other and that is clearly added for the reader's sake. Real example from book: "...we’ll find on it that stretch of empty land in Park Ridge serving as a commuter parking lot, the one where Michael was killed." They had JUST been there. This wasn't several months later. This was a stretch of land they discussed for PAGES, and time-wise, they had just been on that lot. There's no reason for this "explanation" of the lot. It seems added for "clarity" for the reader. Also, the two leads kept using each other's names while talking to each other. "Well, Bill..." "Well, Carly...." Two people who work together just talk. They don't re-state each other's name throughout the conversation. Again, it seemed the author added that element to "orient" the reader instead of more naturally achieving clarity about who was talking to whom through better structure. 2. On a similar note, a lot of the prose between the dialogue does the same thing. Lots of "train of thought" add-ons to explain motive or action to the reader. From book: > Mr. Pescione was not a police fan. That much was obvious from his narrow smile and impatient manner. > Just show his reaction and let the reader see that he was narrow and impatient and didn't like cops--show, don't tell. Finally, the paragraphs are too long. I can handle arcane text. But there are HUGE chunks of prose that could easily be broken up just by hitting "return". Same with the dialogue. Because the dialogue is used in too many places to "explain plot/story" instead of to drive story, speakers tend to go on and on about something as they "tell the reader". I give this book 4 stars because I think it deserves it. The story is there, and the book is very professionally presented. The story/plot is original/not trite. The setting is compelling and multi-faceted (different geographical locations). There's cold weather and headaches and icky ex-husbands. The characters are well-drawn. From the first page, YOU WANT TO KNOW WHAT HAPPENED to the first victim. In other words, you're hooked. The ARC of Shadow Informant was received in exchange for an honest review. I am not sure I would have found this book any other way. It was an interesting take on a police procedural type of story that created quite a few questions during the whole book. The romance in the story was subtle and made it more believable. The main characters did not have a drawn-out romance that took away from the mystery of the plot. The story begins when Caroline (Carly) is awakened to go a murder scene in suburban Chicago by her partner Bill. Although they are CPD, they are requested to help with the grisly and unusual crime in the suburbs. The weapon for the crime is part of the mystery. As Bill and Carly investigate this murder they are drawn into other crimes in the suburbs that all seem to be linked together. As the investigation continues she meets Ben, who is a colonel with the Army at a research facility in the area. He starts to pursue Caroline romantically as well as helps in the investigation. This was a great mystery that kept me guessing the whole time. The crimes and the investigation were at times really hard to understand but kept me engaged in the story. The romance was so understated but felt so right for this story and this might be strange, but Ben might be my new favorite book boyfriend. He was solid and understanding and helps Carly to see herself as the strong woman she is. 5.0 out of 5 starsMurder and romance don’t really go together but in this case, it works! What did I like? I totally fell in love with Carly, she is the sort of person that I wanted to be when I grew up. A Cop and well maybe not the single mom detail because I did get that part in my life also, but I sure wanted to be a COP! I loved the grit that Carly has and when she wakes up to the future, what a gal she becomes! What will you like? A twist and turn storyline, action, murder, romance, and huge craters where buildings should be still standing. Being a homicide detective in the first place is a tough job and for sure it is thankless! Carly has that, and she has a jerk for an ex-husband. When you throw in a little romance that is so different than she had ever known, well then you have an amazing storyline. Can’t wait to get to book two. I received this from the author for an honest review with no other compensation. 5.0 out of 5 starsGreat mystery with a supernatural feel and a terrific heroine. This is a new to me author so I wasn’t sure I would like it but it was wonderful. I loved Carly. She was “real” and was a great overall character. She knows she’s going to find a murder victim when she gets the call because she’s a homicide detective. But this was different than a “normal” murder case and when the strange details show up again, she knows they are searching for a serial killer. She and her partner Bill have to comb through the details to find a lead. I’m not usually a mystery reader because most of them are just gritty and I like a happy ending. This book has a supernatural feel to it, a mystery with lots a twists and turns and a side of romance. I liked it enough to search out this authors backlist to see what other gems I’ll find and have added to my TBR list. (I voluntarily reviewed an ARC).